Chopped chocolate whisked with cocoa powder, vanilla extract, hazelnut syrup, condensed milk, and milk in this deliciously creamy beverage. This hazelnut hot chocolate is comforting and perfect for cold winter days. It’s been freezing here in the city. Not that I can complain too much, since it’s never that cold in the Bay Area especially when compared to areas with snow and ice. But it’s cold to me so I’m constantly wrapped in cozy blankets and warm thigh high boot socks. I like to be warm and cozy all the time. Lately, during my off days, all I want to do is lounge around, sip on hot chocolates, and either watch movies or read books. It’s probably because I’m so exhausted by the end of my 6 day work week I just want to relax. Then of course, things happen that make life just a little more difficult. Like my Microsoft Word documents constantly crashing on me. I’m so stressed out over the fact that I can’t even type a letter without the document closing down on me. If someone knows how to resolve that, I’d be so grateful. 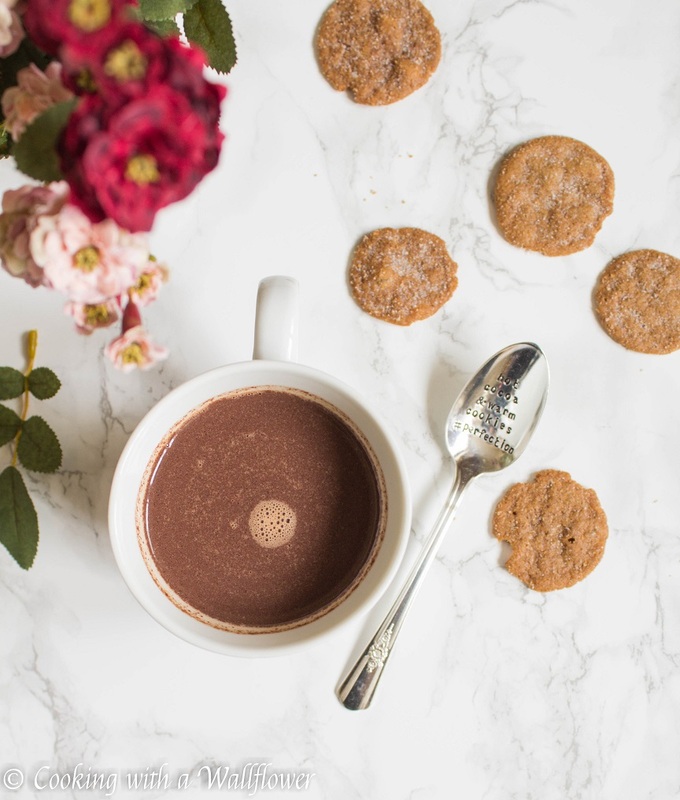 So this hazelnut hot chocolate is just perfect for those lazy days, or for those days that you just need a comforting pick me up . It’s creamy and slightly thick, sweet and chocolaty, and a little nutty. Hot chocolates can be made in a single pot so it doesn’t create too much of a mess. Plus, it doesn’t take long to make, which is perfect. 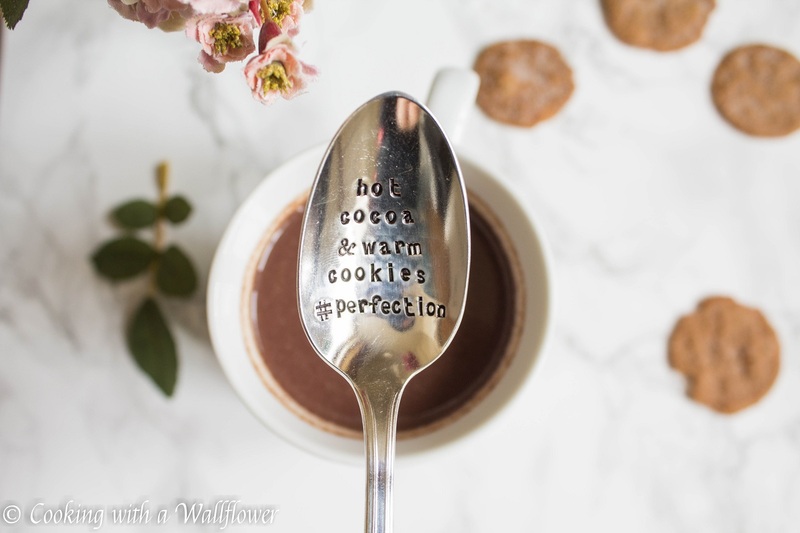 Because seriously, who wants to spend forever making their hot chocolate, right? Chop up good quality semi sweet chocolate. You can use other types of chocolate too, like white chocolate or dark chocolate or milk chocolate. Add the chopped chocolate to a stainless steel pot along with cocoa powder, condensed milk, vanilla extract, hazelnut syrup, and milk. 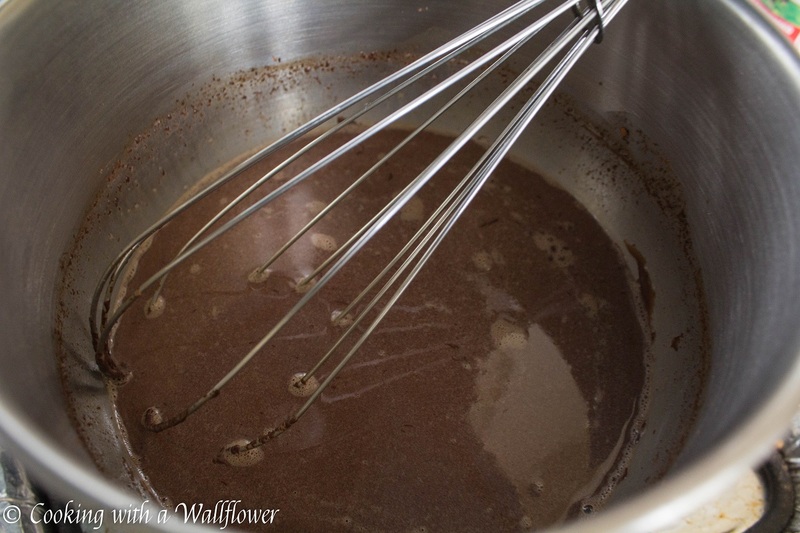 Use a whisk to stir the hot chocolate over low to medium heat. You don’t want the heat to be too high that the milk will burn at the bottom of the pot. If the hot chocolate is too thick, you can always add more milk. I used 2% milk. And if you would like a stronger hazelnut flavor, you can always add more hazelnut syrup. 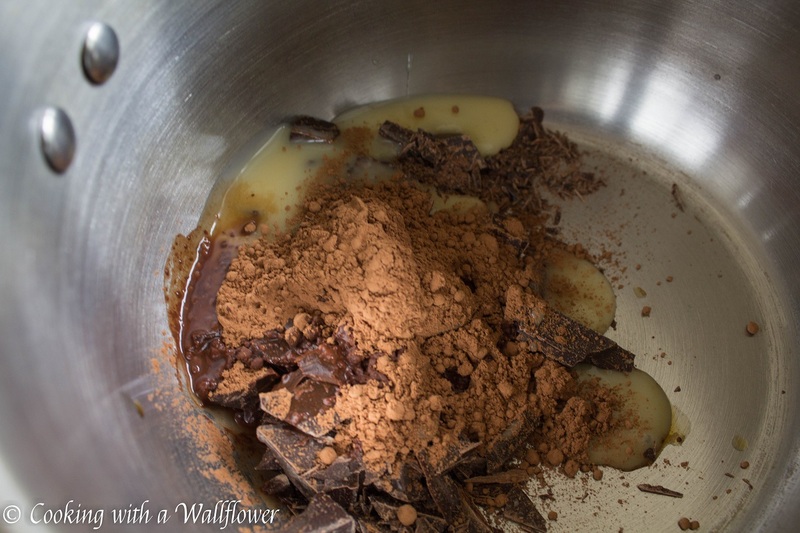 Once all the ingredients are well incorporated and the chocolate has completely melted, remove the pot from heat. 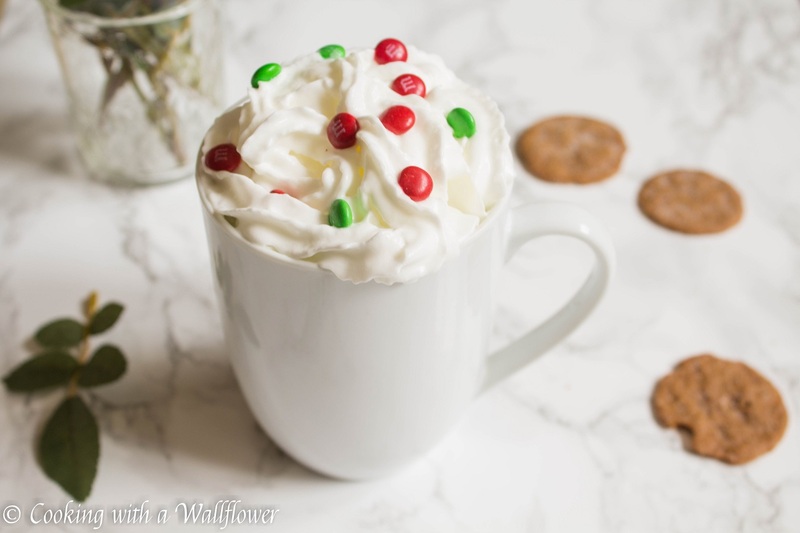 Pour the hot chocolate into a mug. 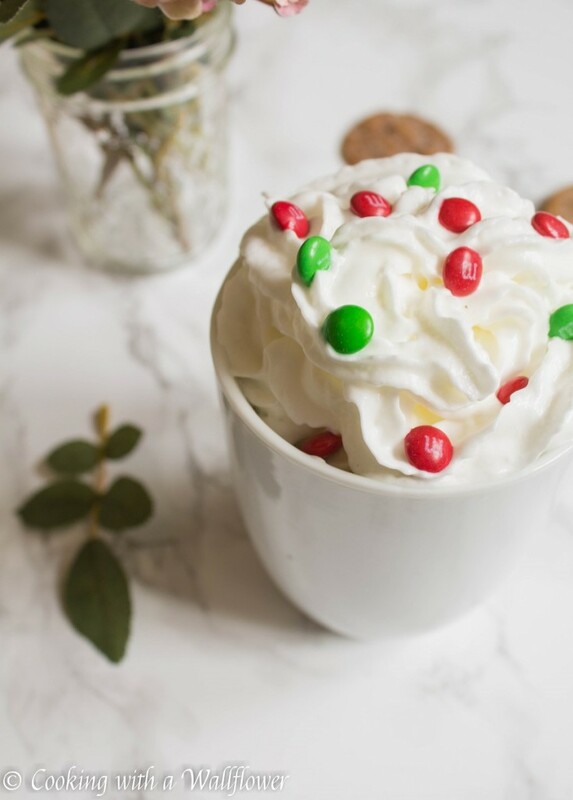 Top the hot chocolate with whipped cream and favorite toppings. I added mini M&M’s to mine just because I had them on hand. Serve the hazelnut hot chocolate warm. 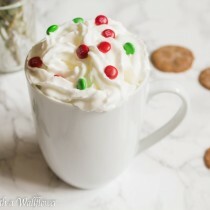 This hot chocolate serves one person, but you can easily double the recipe to accommodate as many people as you need. Chop up good quality semi sweet chocolate. Add the chopped chocolate to a stainless steel pot along with cocoa powder, condensed milk, vanilla extract, hazelnut syrup, and milk. Use a whisk to stir the hot chocolate over low to medium heat. 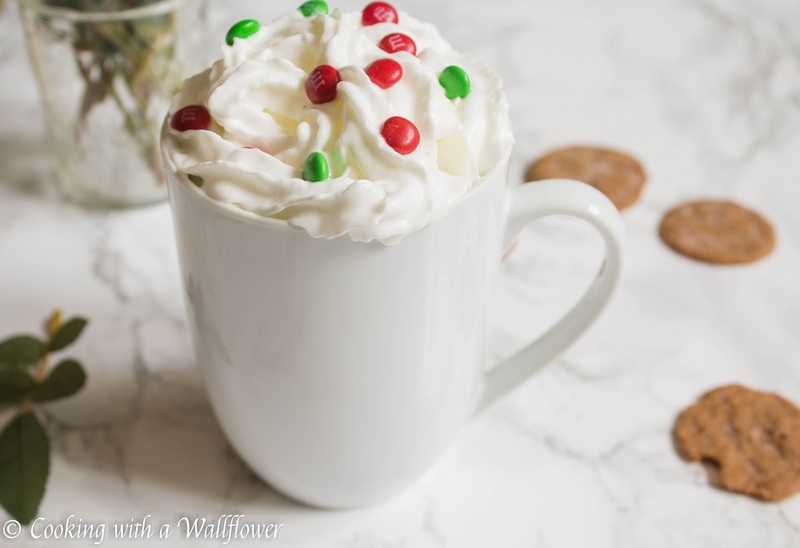 Top the hot chocolate with whipped cream and favorite toppings. 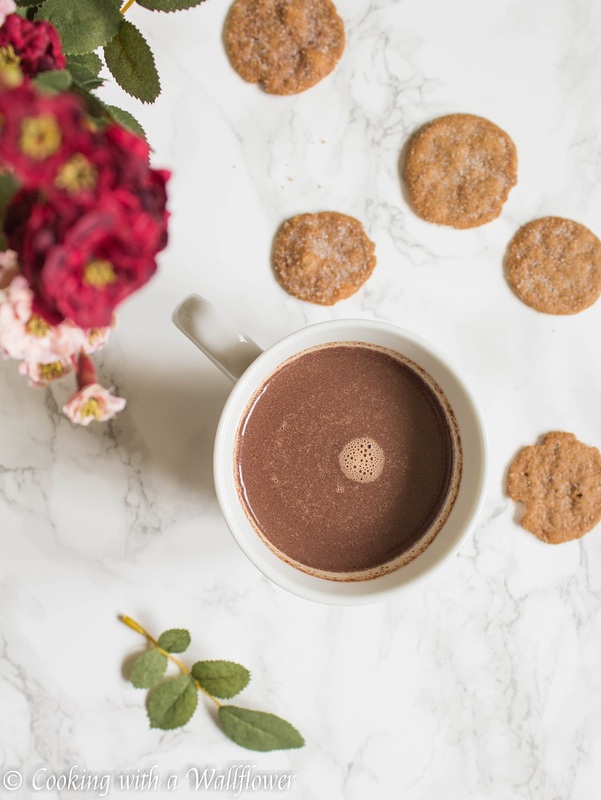 This entry was posted in Beverages, Chocolate, Gluten Free, Holidays, Hot Chocolate, Quick and Easy, Recipes, Vegetarian, Winter Cravings and tagged chocolate, gluten free, hot chocolate, quick and easy, vegetarian, winter recipes. I did try to uninstall and reinstall, but it does the same thing. I have a feeling I need to reformat my laptop. But I am dreading that. I’m a not so secret hoarder, and the idea of having to transfer all my photos and everything else is such a headache. So I’ve been delaying it. But it’s a pain using other word processors when I’m so used to Microsoft. Thanks for the suggestions, Ala! Condensed milk in hot chocolate sounds like a great idea. I can’t wait until morning! I am definitely trying this, mostly because it looks soooo good and we’ve gotten several snows here in Ohio. Oh my goodness, this looks and sounds so delicious! Have a very Merry Christmas, and a bright and beautiful New Year!